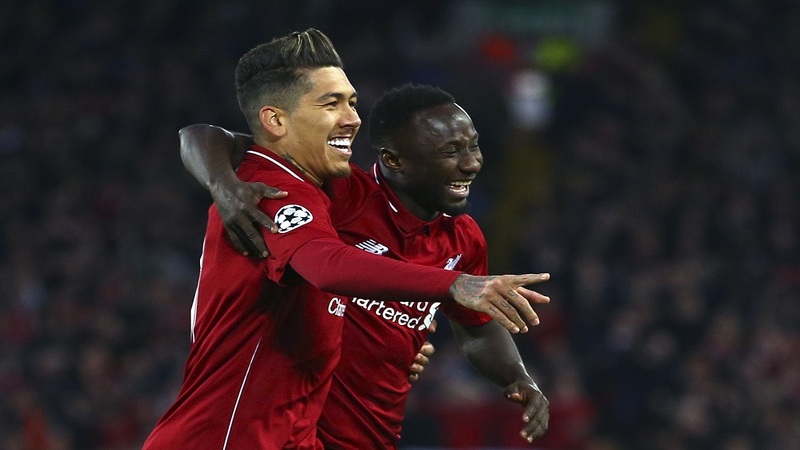 Liverpool's Naby Keita celebrates with Roberto Firmino, left, after scoring the opening goal during the Champions League quarterfinal, first leg, football match against FC Porto at Anfield Stadium, Liverpool, England, Tuesday April 9, 2019. Different round, same comfortable win. Porto must be sick of the sight of Liverpool in the Champions League. 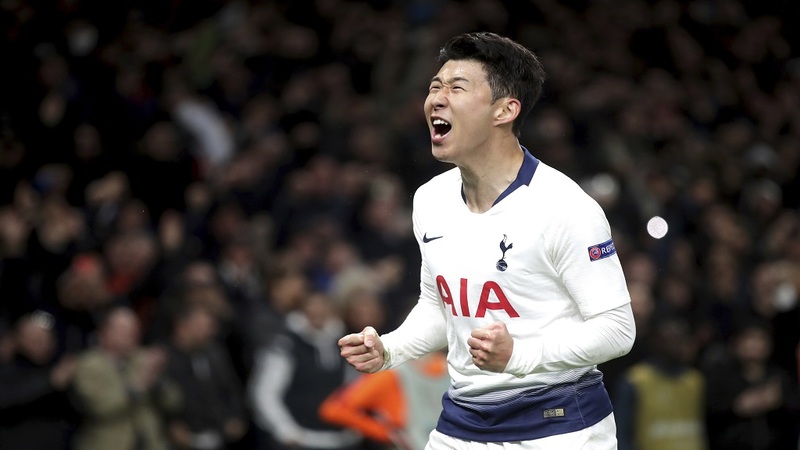 Porto occasionally threatened to score a crucial away goal, with striker Moussa Marega twice denied by goalkeeper Alisson Becker in the first half, but Liverpool look in good shape to reach the semifinals for a second straight year. Last season, Juergen Klopp's team got to the final before losing to Real Madrid. "Positive, good, we won 2-0 ... we controlled the game, had direction of the game," said Klopp, whose only criticism of his players was for the number of free kicks they gave away in dangerous areas. "We knew we had to play the second game and we cannot decide the tie tonight." With a newfound defensive strength this season mainly thanks to the signings of Alisson and Virgil van Dijk, Liverpool are in with a good chance of winning the Premier League, too, and being English champion for the first time since 1990. They are in first place, two points ahead of Manchester City with a month left of the season. 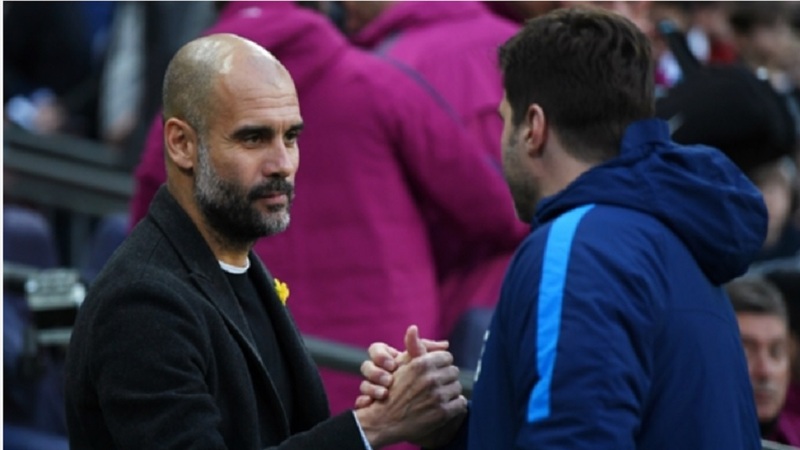 City are also through to the quarterfinals of the Champions League, but must recover from a 1-0 loss to Tottenham in the first leg Tuesday.